While I write mostly about healthy eating, I have been recently asked to address the challenges that many of us face when it comes to making changes. Especially when it comes to self-sabotage. This is mainly because we have an internal critic that tells us how to eat, how to talk, and how to feel. This is a completely normal part of us. It becomes a problem when that critic takes over and is running most of our lives. It is so subtle, that we don’t even realize it. I took some time to discuss this issue with Margie Mader, a Licensed Marriage and Family Therapist, Certified Hypnotherapist and psychotherapist who has been specializing in working with body image issues for over 20 years. Margie, where does the internal food and body critic come from? It can come from many places. When we are babies, we see ourselves as perfect. We are in awe of our bodies. I remember one of my daughters rubbing her belly in the mirror, at 2-and-a-half years old saying “Mommy, I love my belly.” But, as we get older we begin absorbing all the verbal and nonverbal messages around us. Women talking about dieting, men eating a certain way, the comments people make about their size­—that is when the internal critic is born. So, what would be some steps to deal with the internal critic? The next, and most exciting part of this journey is to begin to talk back to it. “I’m not fat. Stop putting me down.” Allow yourself to get angry, yell at it, journal, punch pillows, cry. These are feelings that are real and are way to release its hold on you. The more you practice talking back, the more you reclaim yourself. This is not an overnight process, but one that takes practice and patience with yourself. I can assure you, it definitely works. I have helped thousands of clients reclaim their voice, their life and themselves as a result. So, there is hope to actually make that judging part of us go away? Definitely. it won’t go away completely, but it won’t run your life. When you hear it, you will be able to avoid reacting to it and will be in command of your life. What comes next is you get to create who you want to be. This is where positive affirmations are key to molding the new you. My personal favorite is, “I am a self-expressed, powerful leader who lives an authentic, miraculous life.” There is no way an internal critic will mess with that. 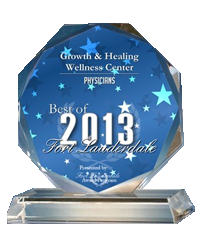 Margie Mader, LMFT, C.Ht., is the owner and clinical director of Growth and Healing Wellness Center, a private practice located in Fort Lauderdale. 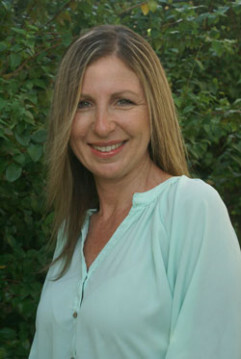 She also specializes in working with trauma, divorce, life transitions, eating disorders and self-empowerment. Her approach is holistic and experiential. For more from the Green Goddess, click here. Alina Z., aka “The Green Goddess,” is a certified holistic health coach, detox specialist and raw-food chef (she conducts occasional classes at Whole Foods in Boca). Prior to moving to Florida, Alina hosted her own TV show in Maryland—“Entertaining A to Z”—for people who didn’t have time to cook but wanted to eat healthy. Catch one of her web episodes at eHow.com, visit Alina’s website at alinaz.com, or follow her on Facebook and Twitter. The Green Goddess blog runs every other Wednesday at bocamag.com.